The practice of massage therapy is the assessment of the soft tissue and joints of the body and the treatment and prevention of physical dysfunction and pain of the soft tissues and joints by manipulation to develop, maintain, rehabilitate or augment physical function, or relieve pain. (Massage Therapy Act 1991). Registered Massage Therapist (R.M.T.) are regulated health professionals. Massage therapy will help you to feel more relaxed, less stress, and reduce pain, increase circulation and mobility, help you with better sleep, and have a feeling of well being. Different s massage techniques are used to release stiffness and tension in muscles, tendons, fascia, increase range of motion, reduce stiffness, and improve overall posture. You will feel lighter after a session, usually Swedish massage are generally used which includes gliding of the hands with different kind of strokes with oils, although massage therapy can also be done over the clothing as well, it is your choice how you want to be treated. ​Massage increases blood flow, reduces pain, relaxes the central nervous system, and flushes out metabolic waste. Hot stone (Basalt lava stones) massage is the practice of heating stones and use them at your temperature comfort to release tension in muscles. Heat from the stones and pressure can go deeper to achieve a deeper effect and relax tissues at a deeper level. It is a excellent approach to treating aching back and increasing circulation. The stones are also used during the treatment as a massage tool along with the massage oils to produce a deep and soothing effect. 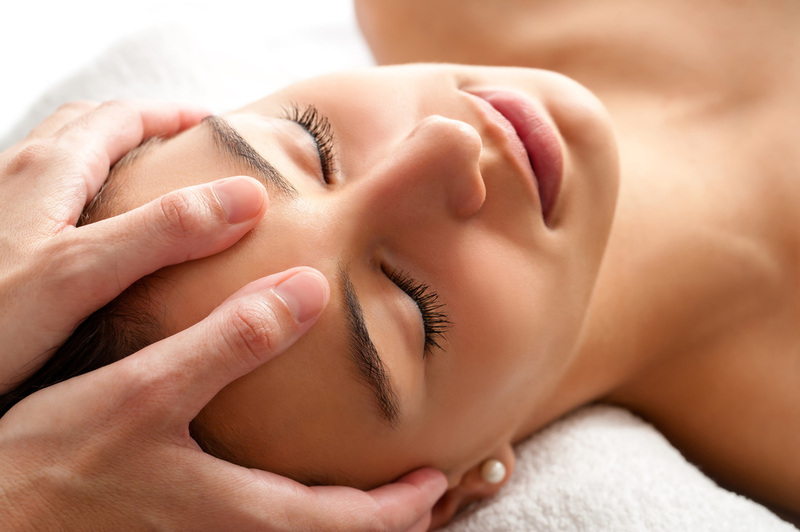 Facial massage will invigorate your skin and increase circulation to facial muscles. Facial reflexology and acupressure points are pressed to stimulate and tonify facial muscles.